TarmacTyrants: Are All Nissans GT-Rs? I have a close friend who owns a 20-year old Nissan March. He is driving this 'refined' piece of machinery not because he couldn't afford anything else but I suppose he just didn't want to break his bank account owning a car in sunny Singapore. Just the other day, I took a ride in his 'GT-R' and we were kind of late for an appointment. Understandably, with far more than two hundred thousand kilometers on the odometer and a history of road accidents, the little 'GT-R' was incredibly slow. If you still didn't get the point, the car felt like it was experiencing turbulence at a speed of 95km/h. Having said that, it was pretty obvious that we were late. But what could one expect from a 20-year old, 1.0L 4 cylinder in-line four pushing out some 60 ponies at its prime. Well, I bet it's down to somewhere slightly north of 40bhp by now given the fact that it could never really reach the 100km/h mark without us saying our last prayers. 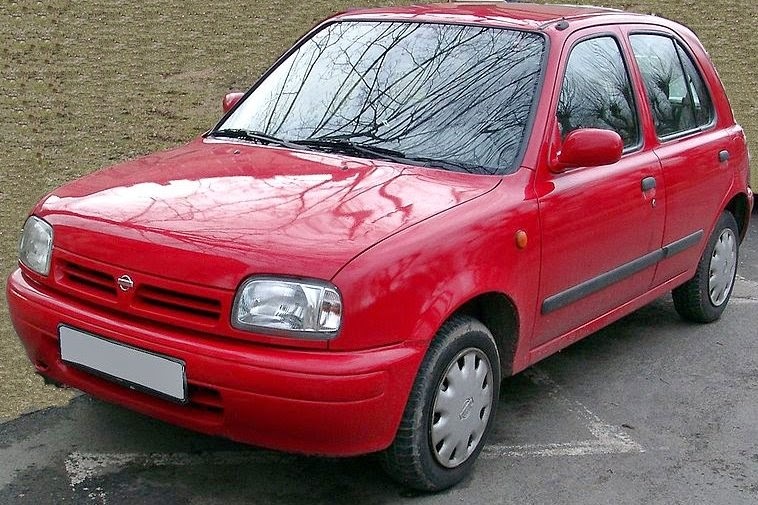 Because the journey was longer than we anticipated, I took the liberty to Google the Nissan March for entertainment sake. Interestingly, Wikipedia stated that the engine had a Redline of 7300 rpm! I'm not so sure but the rev meter clearly had the read markings painted at the 6500 mark and there was no chance in hell that we were going to validate what Wikipedia claimed. Interestingly, Wikipedia also stated that and I quote, "This compact, reliable, lightweight and fuel-efficient motor has also found life in many Nissan Forklift models." That was truly heart warming to know and we almost died laughing. I guess after 20 years of service, a terrible gas mileage of merely 7km/l and an indefinite acceleration of nought to a hundred, the only significance the March had to the highly acclaimed GT-R was the fuel consumption. So are all Nissans GT-Rs? Well, all I could say was at some point in time, this Nissan was a really nice car.